Salop Leisure - Machynlleth01654 705900work Shop - OutdoorSalop Leisure Ltd is a leading supplier of static, touring and motor homes - all of which have evolved from basic units to the luxury models of today. Salop Leisure Ltd - Shrewsbury (Tel. 01743 282400) has around 50 caravan holiday homes on display, with 160 tourers and a selection of motor homes. Our site at Machynlleth has a selection of tourers, around 40 caravan holiday homes and an indoor showroom. 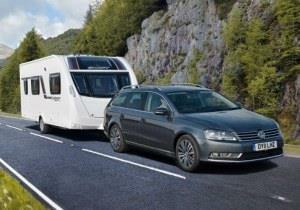 We concentrate on making sure we give the best advice, and you have all the information necessary to choose the right static caravan, tourer, motor home and ideal site. We take as much hassle out of the process as possible, helping with finance and transporting and connecting static homes to all services. On top of that we offer servicing, insurance, warranties and a Leisure Shop. When approaching Machynlleth from Newtown turn left before ATS, following the signs for Llanidloes and Clywedog. After approx. 500yds turn right into the Treowain Enterprise Park. Salop Caravans are located just 200yds on the left.